Arresting performances from the English National Ballet at Sadler's Wells! Why See English National Ballet: She Persisted? After making headlines in 2016 by commissioning three female choreographers to create work that celebrated and promoted women's voices in dance, the English National Ballet returns to Sadler's Wells with She Persisted. A follow up for the ENB's She Said, She Persisted features three works that are set to inspire, move and enchant. The programme features Broken Wings by Annabelle Lopez Ochoa, Nora by Stina Quagebeur and Le Sacre du Printemps (The Rite of Spring) by Pina Bausch. The story of iconic painter Frida Kahlo is brought to life by Annabelle Lopez Ochoa is this vibrant, colourful and passionate production. Full of life and warmth, Broken Wings explores the artist's life, art and struggles with stirring choreography and exquisite performances. In her first piece for the main stage, Quagebeur draws from Henrik Ibsen's A Doll's House. Gaining inspiration from its leading character, Nora is a story about one woman on the path to independence. In an unforgettable production that features 13 female and 13 male dancers, Pina Bausch's The Rite of Spring is an arresting and moving tale of the sacrifice of one terrified victim. Danced on a stage covered in soil, The Rite of Spring features a haunting score by Stravinsky, creating a gut-wrenching and galvanising piece. 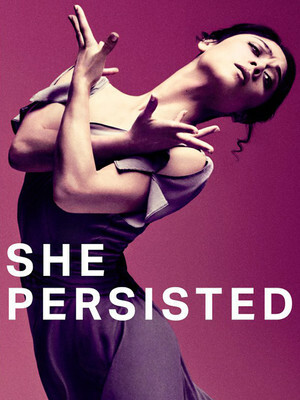 Seen English National Ballet: She Persisted? Loved it? Hated it? Sound good to you? Share this page on social media and let your friends know about English National Ballet: She Persisted at Sadlers Wells Theatre. Please note: The term Sadlers Wells Theatre and/or English National Ballet: She Persisted as well as all associated graphics, logos, and/or other trademarks, tradenames or copyrights are the property of the Sadlers Wells Theatre and/or English National Ballet: She Persisted and are used herein for factual descriptive purposes only. We are in no way associated with or authorized by the Sadlers Wells Theatre and/or English National Ballet: She Persisted and neither that entity nor any of its affiliates have licensed or endorsed us to sell tickets, goods and or services in conjunction with their events.